Finely crafted from North American Hardwoods, sanded, ready to finish in either stain or paint. 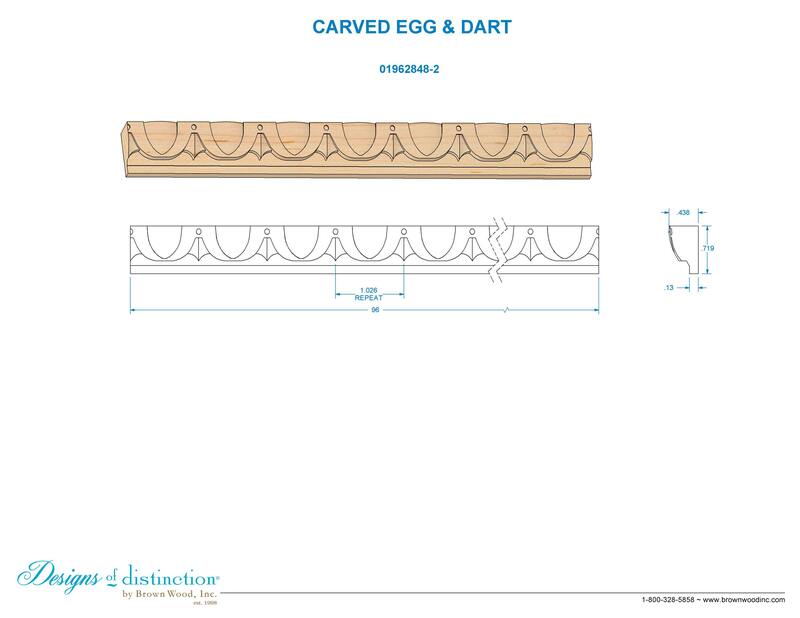 The decorative Carved Egg & Dart Moulding fills the space between wall and ceiling and above cabinets with a classical carved ornamental pattern. Shop the rest of our Pinnacle Collection to complete your design. Ships in 96" lengths. Need a shorter length? Choose the "Cut to Length" Add-On. Shop more of this look in the Pinnacle Collection.